David Hannon provides representation in a variety of matters involving intellectual property, drawing on his experiences across a broad range of issues and industries. David provides representation and counseling related to contested intellectual property matters. He has represented clients in matters involving patent infringement, copyright infringement, civil counterfeiting, domain name anti-cybersquatting, and breaches of contract. In addition, David’s practice includes the procurement of patents and copyright rights and transactional matters. David is a patent lawyer and has prepared and prosecuted numerous patent applications, covering mechanical and electromechanical technologies in a number of industries. David has also prepared opinions on the validity and scope of patents. 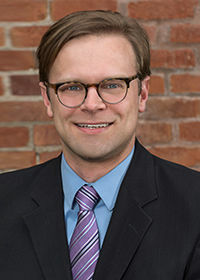 David has prepared and prosecuted numerous copyright applications, including works covering “useful articles” as defined under the U.S. copyright laws. David has also worked on intellectual property agreements and conducted due diligence for corporate transactions involving intellectual property.